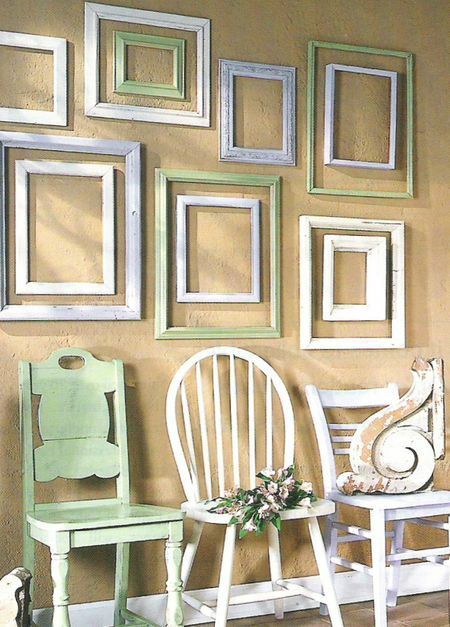 How do you feel about empty frames on your walls? Or do they feel too empty? Do you want to stick something in them? Does it bother you to make a cazillion holes in your walls? Or do they add the perfect touch? 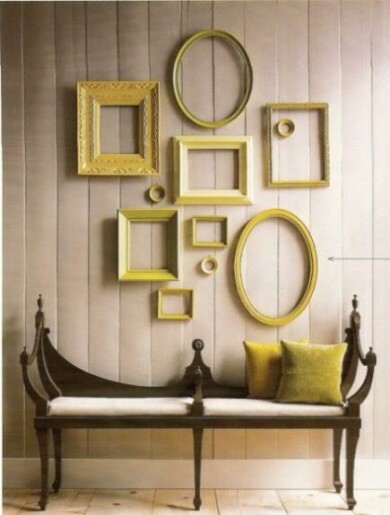 Do you have empty frames in your home? I had to add Gail's version. Visit my repurposed life for more of her crazy talent! i love them! we have a wall of empty white frames behind our sofa, and it's perfect. we have two windows on either side of our sofa, but the sofa cann't be centered between the weindows, so when we had one piece of art on the wall i didn't know if i should center it over the sofa or between the windows. 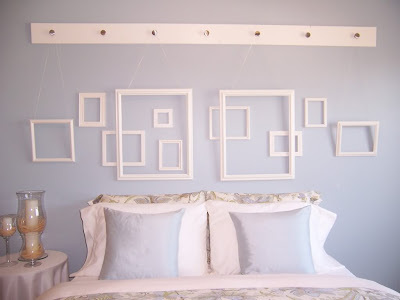 the wall of frames was the solution we needed! Yes, I have them. I love them! I used them in my bedroom, on a beadboard (formerly known as knotty pine) wall. I love them but I haven't added any to my walls yet. 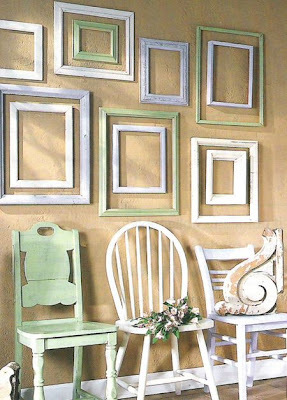 I've been collecting a bunch of frames from thrift stores recently to start my wall so hopefully I'll get it done soon. yes, i do. but i haven't made a post about it yet. 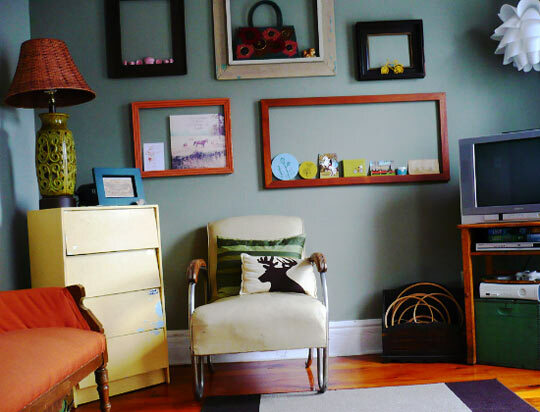 it's a brilliant idea and fills up an empty wall pretty fast! can't say that the look has caught my fancy but what i have seen on the most part look great just not sure in my home they would. i love, love empty frame walls. i am currently for a house and plan to do this when i get my new place. :) thanks for adding me Andy! 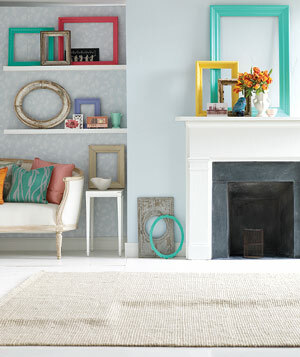 I love the look, but haven't done it yet in my own house. Planning to though. 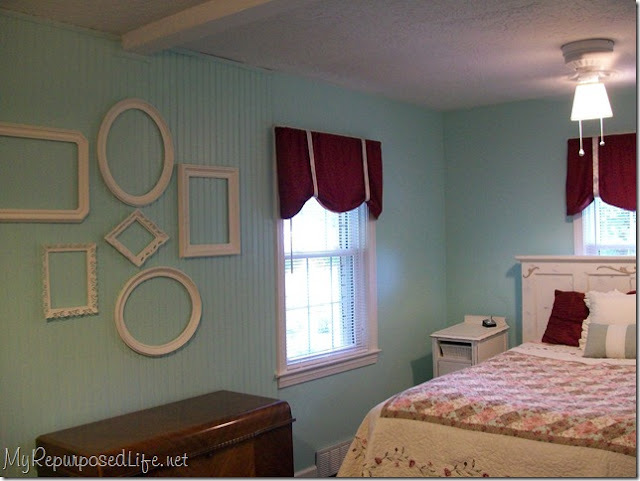 :) I especially like when they're all painted a matching, off the wall color. I love them too! I am currently in the process of spray painting and collecting more frames to complete mine. I see them online all the time in white. I wonder why I never see black?? I've already started to paint mine white, but once I get tired of them I'm definately going black! 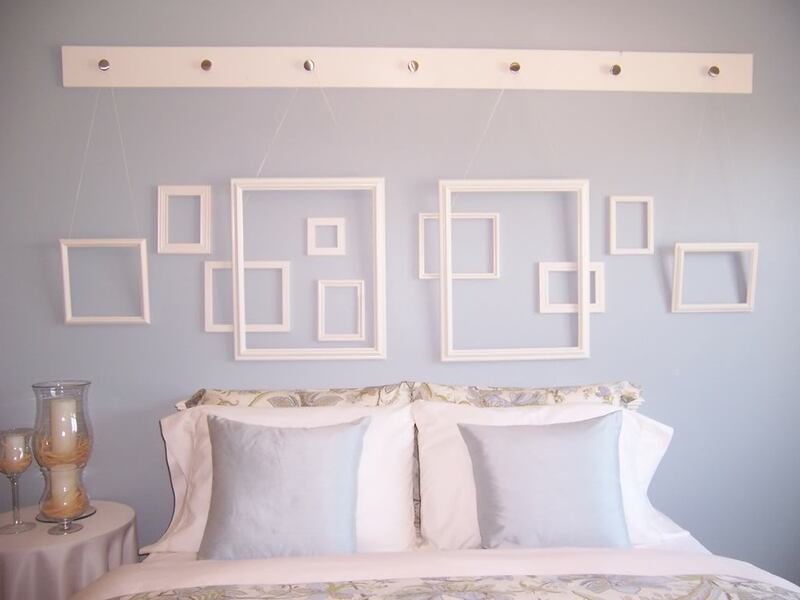 I love Gail's arrangement, and I also like the hanging arrangement above the bed from Tip Junkie. I like the possibility of repainting them to match your mood/theme/season. Me likey! I like them! Great post you've put together too - lovely! I've got this linked to my picture frames post as well today, for inspiration!